What Is VSee Video Conferencing? VSee is a video conferencing software that lets users chat and collaborate online with multiple people at a time. It is loaded with useful features that make working remotely a breeze. 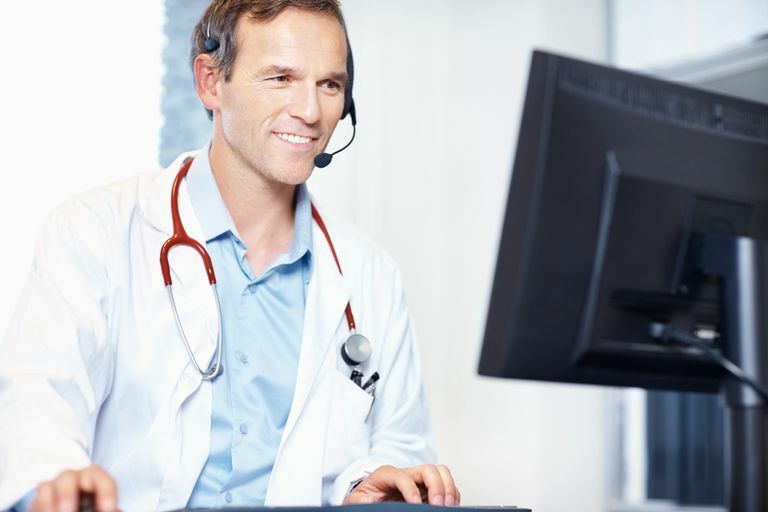 Most importantly, it's an official HIPAA-compliant video chat and telehealth platform that is used by physicians in telemedicine. VSee is a great video conferencing tool for informal meetings, especially between doctors and patients. Not only does it let users have an online conference, VSee also nicely supports online collaboration. It is very low bandwidth, so even those on slower Internet connections can make the most of their VSee video conference and collaboration. VSee was used In 2009 and 2010 when the United Nation’s Refugee Agency (UNHCR) needed to stream a live video link to Darfurian refugee camps in Chad for Angelina Jolie and Hillary Clinton. Today it is used by astronauts aboard the International Space Station. As mentioned before, users need to install VSee prior to using it. The installation process is easy and straightforward, and installation is quick. Once you have installed the software and created an account, you are ready to start using this software. Much like Skype, you can only call those who have also already installed and created an account with VSee. Also, those on the most basic package can only call people within their team. The installation process can cause small delays if you want to conduct an impromptu meeting with someone who is not already a VSee user. To make a call, all you need to do is double-click the name of the person you need to speak to on your address list. You can also choose to type the person’s username in the search field and press enter. This is useful if you have a large number of contacts, for example. Once the call is connected, you can begin your video conference. Users can video conference with up to 12 people at a time. VSee is extremely intuitive, so even those who are new to video conferencing can easily learn to use it. The software’s controls are easy to find as they are all located at the top of the video window. To me, the brilliance of VSee lies in its collaboration functions. The tool supports application sharing, desktop sharing, movie sharing, general file sharing, USB device sharing and even allows for remote camera control. This means that you can control another computer camera’s zoom, tilt, and pan, getting exactly the image that you want. Also, its document sharing abilities are great, as VSee users don’t have to worry about e-mailing around large files during their meeting. Users can interact with each other’s screens by annotating and highlighting documents that are open, so collaborative working is easy. It is also possible to record a VSee session in its entirety, making it easy to revisit a meeting when needed. When tested, VSee presented no problems whatsoever with audio or video, so there were no delays at all, which is very impressive. In fact, we found VSee to be even better than Skype and GoToMeeting when it comes to audio quality. As with a number of other video conferencing tools, users can place the video screen anywhere on the desktop, making it easy to see the video conference participants while working on documents together. This means that the video screen doesn't have to be minimized or closed when collaborating online. The fact that VSee is so low bandwidth definitely sets it apart from its competitors. It also makes it possible for those on slower internet connections to easily share and receive video in a reliable way, something that is very difficult (if not impossible) to do on applications that require a large amount of bandwidth. But it’s not just the bandwidth factor that sets this VSee apart from its competitors. Its many collaboration tools also help make VSee a great choice for those who work remotely but still want to bring their teams together through a great video conferencing and collaboration tool.